The game remains available to those who had previously purchased or downloaded it but only the tutorial is playable. Dead Star holds the distinction of being one of the fastest-to-be-delisted titles on the site. On PlayStation 4 it was available in English speaking territories for 6 months and for only 3 months in Japan. 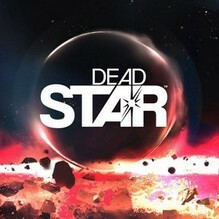 Described as a “passion project”, Dead Star was originally designed by a small team headed up by Tom Ivey who explains the game’s origin in a PlayStation Blog post from October of 2015. 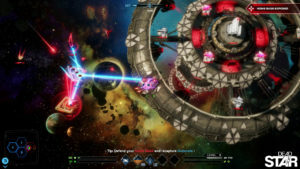 Dead Star was available to pre-order on PlayStation 4 for $14.99 in December of 2015 and granted access to a beta build of the game. It was officially released in April for $19.99 but was also provided as a free game to PlayStation Plus members for the month. 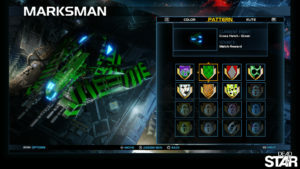 The game was supported by three DLC packs offering new ships and skins. 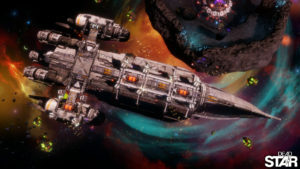 Select from a variety of unique ships as you engage in intense dogfights, capture outposts to expand your presence, gather resources to upgrade your defenses, and discover secrets buried within galactic battlegrounds of up to 10v10. With the Dead Star about to explode and eradicate everything within an entire region, those within its range are left to fend for themselves amidst the debris of quickly-abandoned strongholds. Somewhere within this wasteland is an abandoned warship, one that will enable players to invade live multiplayer matches and utilize the warship’s full strength against others as they seek to escape the Dead Star.